This is definitely too good not to share! 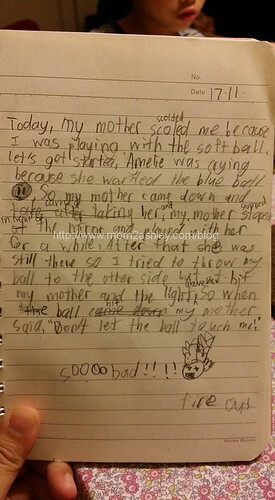 This is a diary entry of Aidan which was written 2 days ago.When I read it, I burst out laughing! Now I feel bad…I sound like a horrible mom with PMS!